Turkey details murder of journalist Jamal Khashoggi, says he was strangled as soon as he entered the Saudi consulate in Istanbul. Saudi Journalist Jamal Khashoggi was strangled as soon as he entered the Saudi consulate in Istanbul and his body was dismembered and destroyed as part of a premeditated plan, Turkey's chief prosecutor said on Wednesday as he made details of the murder public for the first time. The revelations came only an hour after Saudi Arabia's chief prosecutor left Istanbul, and his Turkish counterpart said he was "obliged" to release the information after their talks produced "no concrete results", reported AFP. Khashoggi was last seen on October 2 entering the Saudi consulate in Istanbul. The Turkish government has accused Saudi Arabia of murdering the dissident journalist and chopping his body into pieces. Saudi Arabia admitted for the first time several weeks ago that Khashoggi was killed after entering the consulate in Istanbul, after previously denying Turkish claims that he was murdered. Gruesome reports in the Turkish media had previously alleged that Khashoggi, a 59-year-old Washington Post contributor who had criticized the powerful Saudi crown prince, was killed and cut into pieces by a team sent from Riyadh to silence him. His body has not been found. 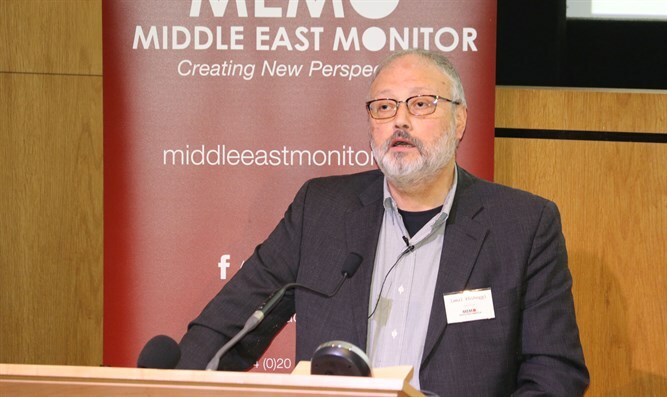 "In accordance with plans made in advance, the victim, Jamal Khashoggi, was strangled to death immediately after entering the Consulate General of Saudi Arabia in Istanbul on October 2, 2018 for marriage formalities," said a statement from the office of Istanbul chief prosecutor Irfan Fidan. "The victim's body was dismembered and destroyed following his death by suffocation -- again, in line with advance plans," added the statement, quoted by AFP. Saudi Arabia sent the head of its investigation to Istanbul this week, seeking to draw a line under a crisis that has brought near unprecedented scrutiny on the oil-rich Gulf nation. Attorney General Sheikh Saud al-Mojeb arrived in Istanbul on Sunday, met with Fidan twice, visited the consulate and spoke with Turkey's MIT intelligence agency. He then flew out of Istanbul on Wednesday afternoon without making a public statement. "Despite our well-intentioned efforts to reveal the truth, no concrete results have come out of those meetings," the Turkish prosecutor's office said later, adding that the Saudi prosecutor's office invited Fidan and his delegation to Riyadh "along with the evidence they have obtained". After initially insisting Khashoggi left the consulate unharmed, then saying he died in a brawl during an interview gone wrong, the Saudi regime has admitted he was killed by a "rogue operation" and arrested 18 people. A spokesman for Turkish President Recep Tayyip Erdogan's ruling party, Omer Celik, said on Wednesday that the murder could not have been carried out without instructions from "high-level" officials in Riyadh. The case has also sorely strained relations between Saudi Arabia and the West. US President Donald Trump derided the killing as "one of the worst cover-ups" in history. The United States later revoked the visas of 21 Saudi nationals implicated in the crime.